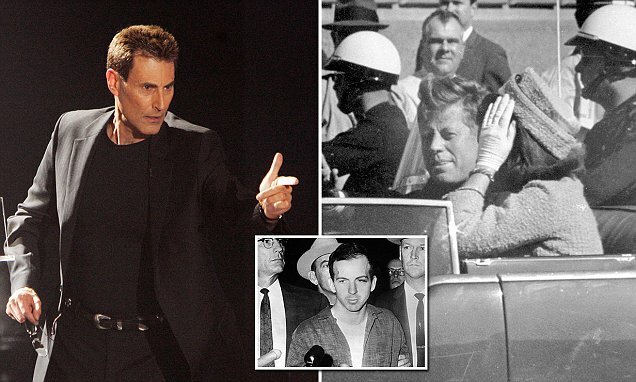 Israeli psychic Uri Geller has claimed that he helped the CIA with their investigation into JFK's assassination and that he made 'shocking' discoveries. The 70-year-old spoon bender says he was hired by a CIA agent in Mexico City to investigate whether Lee Harvey Oswald acted alone or had accomplices when he shot dead President John F. Kennedy in 1963. Geller claims he even met with First Lady Jackie Kennedy at her apartment in New York to inform her of the information that he uncovered. He revealed he was only now able to go public with his involvement in the investigation following President Donald Trump's decision to unseal thousands never-before-seen documents on JFK's assassination. 'For the first time in nearly 50 years, I can go public with my involvement,' he wrote on his Facebook page. 'I was already in Mexico City at the time. One of my roles included being a secret agent for the Mexican treasury department. 'A CIA agent in Mexico City tasked me among other assignments, with investigating whether Lee Harvey Oswald acted alone or had accomplices - including the backing of sub-national organisations such as the Mafia or international organisations such as the KGB. 'This assignment took me in the early 1970's, inter alia, to Mexico City to the Russian Embassy where Oswald had travelled shortly before he shot the American president. 'I was able to shed some light on organisations he may have been in contact with, but these did not include any US agencies, the Mafia or Lyndon Johnson.